Because we make everything here at Tuffies, we can fit in with you. If you have a requirement in bed size or shape, we can make almost anything you need. All our dog beds are sturdy and firm. This means that they will last and last, but they are, however, not so easy to "squash" in to a certain space. 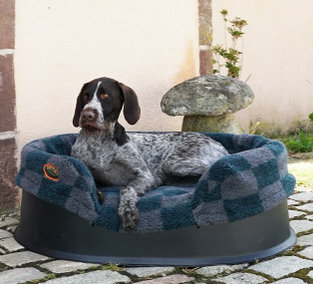 Therefore, if the space where you want to put a new Tuffies mattress does not measure up to fit our standard sizes, we can make you a beautiful, sturdy dog bed that will fit your space exactly. We can also make soft covers to go with it for total luxury. 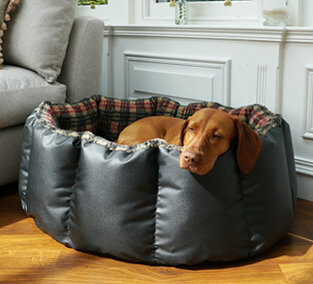 Dog beds for cars are particularly popular as it works best if your dog bed fits right up to the inside of the space. 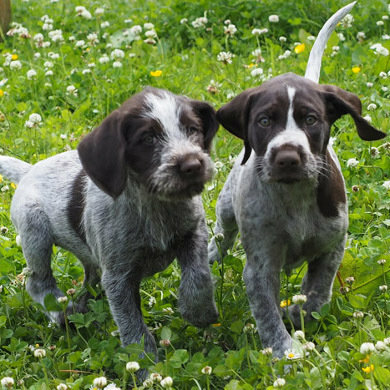 If you have ever tried to sit in the back of a car or a pick-up with a few dogs while the vehicle is being driven on winding lanes, you will realise how much you get thrown around and it is much nicer if you can sit on a good dog bed that doesn’t slide around and also lean on the inside of the car. 1: Tell us the length and width of the space. 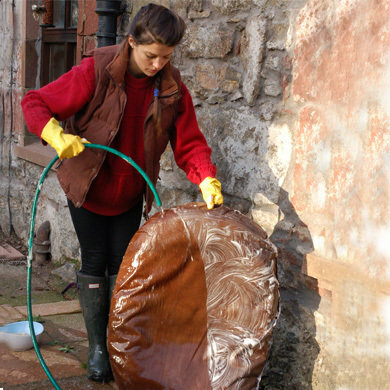 2: Tell us if you want the waterproof fabric to be Durasoft of Wipe Clean. 3: Tell us if you need a soft cover in addition to the bed. 4: We can now give you a price. 5: If you are happy with the quote, we can take your order. 6: Please let us know what colour you want. 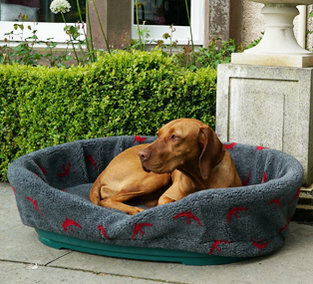 7: Your new luxury dog bed will be despatched according to our delivery time (bespoke service does not take longer than standard beds). Please note: If you have a complicated shape, we can still make it (within limits) and we can give you a price over the phone, but we prefer if you make a template and send us the template in the post so we can get the shape exactly right. 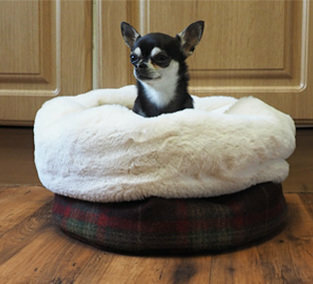 Our bespoke service is extremely popular and we have made dog beds for under the kitchen work tops; that little space under the stairs; dog beds for window sills or alcoves; in or on top of special sized kennels; for caravan cubbyholes; holiday cottage benches; on boats and for tractors; triangles for corners; oval dog beds for wicker or plastic baskets. The list goes on. 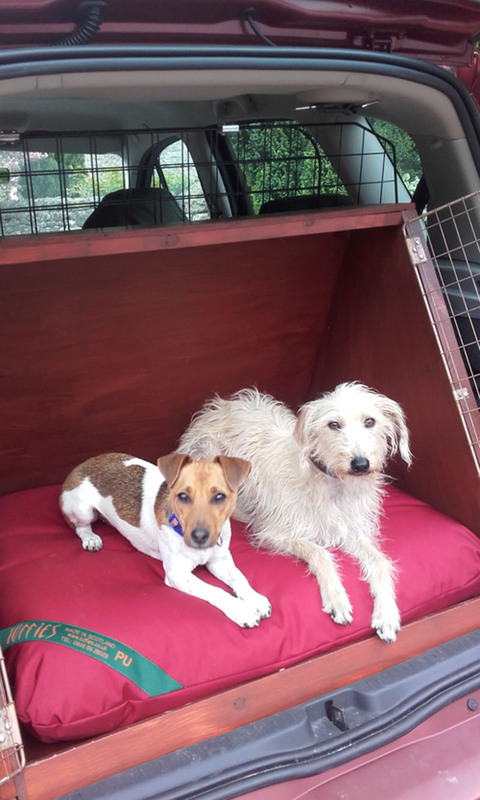 Attached is a photo of my agility Lurcher, Tansy with Tig, (a wee JRT rescue pup and agility wannabe) trying out their new bespoke Tuffies Durasoft mattress. They certainly approve! 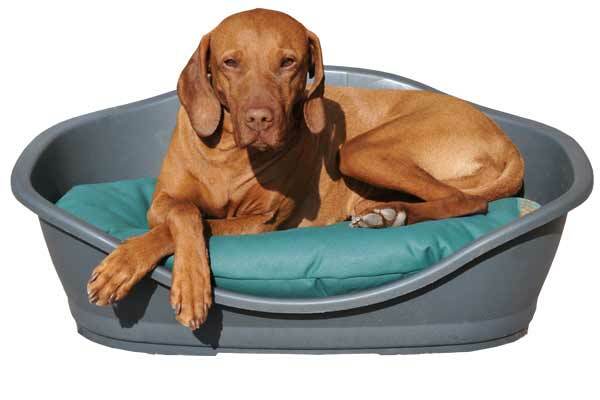 A good, made-to-measure dog bed for the car would be the Wipe Clean Tuffies Mattress as it will be seeing a few wet dogs after a rainy walk, puddle splashing or a run in the summer on the beach. Whatever gets on to the bed can easily be removed either by brushing or vacuuming the dog hairs off or by scrubbing it down with hot, soapy water because the Wipe Clean fabric has a smooth surface like a waxed jacket feeling. 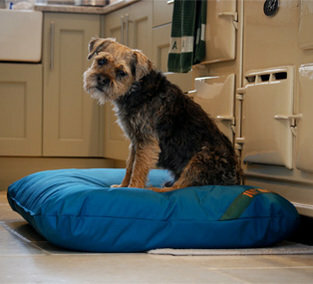 With a made to measure dog bed we can also make covers. We offer a range of different covers. 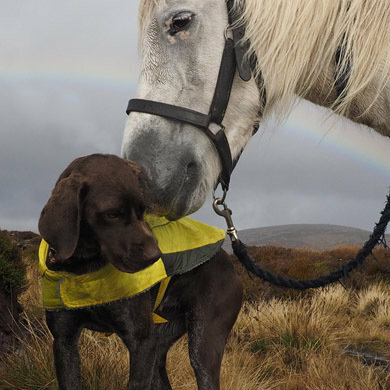 For a car we would recommend the Dog Drying Dog Bed Cover. This is outstanding in drying the wet off the dog and at the same time give really good grip and security for the dog in the back of a car. 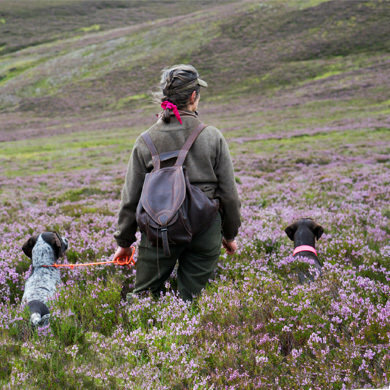 Another great cover you could opt for is our Wicking Covers that also gives comfort for damp dogs. 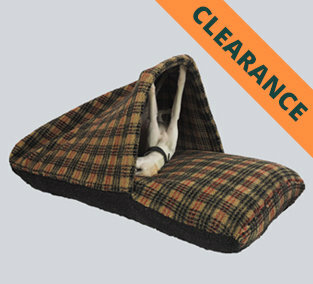 You can of course have your car measured out for the full extension of the boot and we can tailor make the dog beds to fit round your wheel arches etc or you can just have a bespoke dog bed made to fit across in part of the boot’s space. This can then leave space for your other stuff you want to bring in the boot and your dog has a defined, pleasant place that is his to sit in. 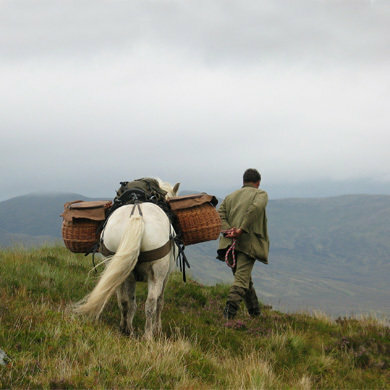 When travelling with dogs, many owners have small spaces (cages) and a small, bespoke mattress is ideal. 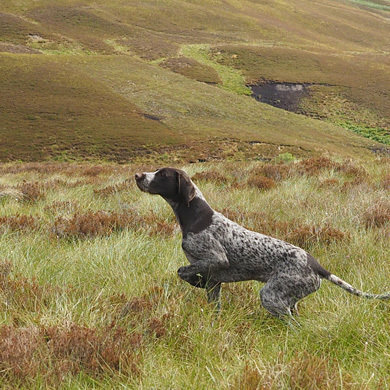 A popular arrangement can be seen below, where the two English Pointers each have a little Tuffie to sit on during transport. 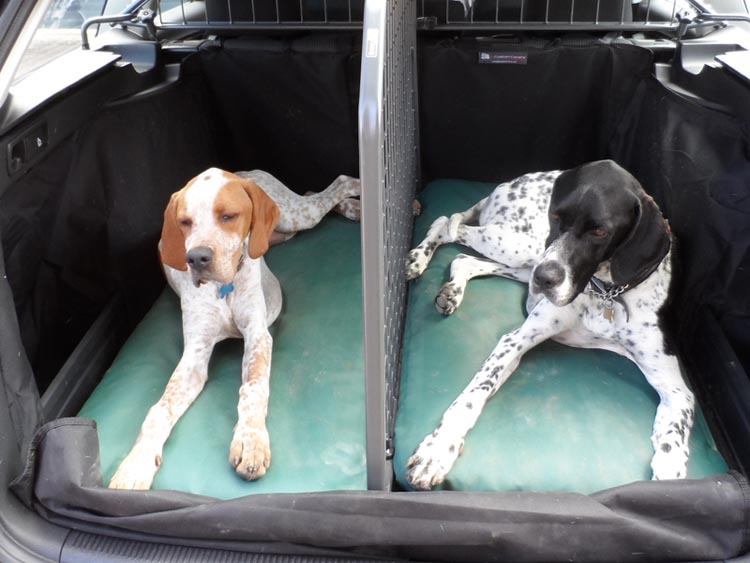 Here is Darcy and Findlay in their bespoke beds fitting their allocated space in the back of the car (sent in by Kim Gunning). 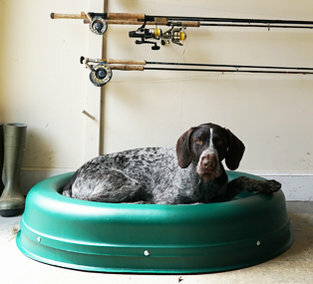 If you need a dog bed made for a special space in the house, you might like to have one made from our Durasoft waterproof materials. This great fabric is a 1000 Denier Texturised Nylon with an extra thick Polyurethane waterproofing on the back and we have several of our colours made only for Tuffies. You will be able to find a colour to suit your house’ interior. There are some limits on what shapes we can make and we also advise you if you are asking for something that is too impractical or a shape that will not end up looking nice. A very common place for dogs is under the kitchen table top. Our standard beds are never quite narrow enough, but we have made a great number of "cupboard-dog beds". 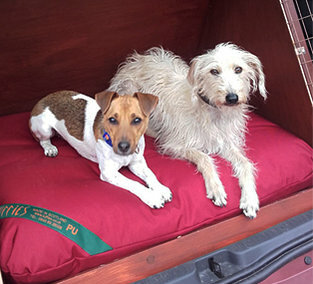 And here are Judi Milne's dogs on a bespoke bed fitting the alcove. Very smart and made just to fit.